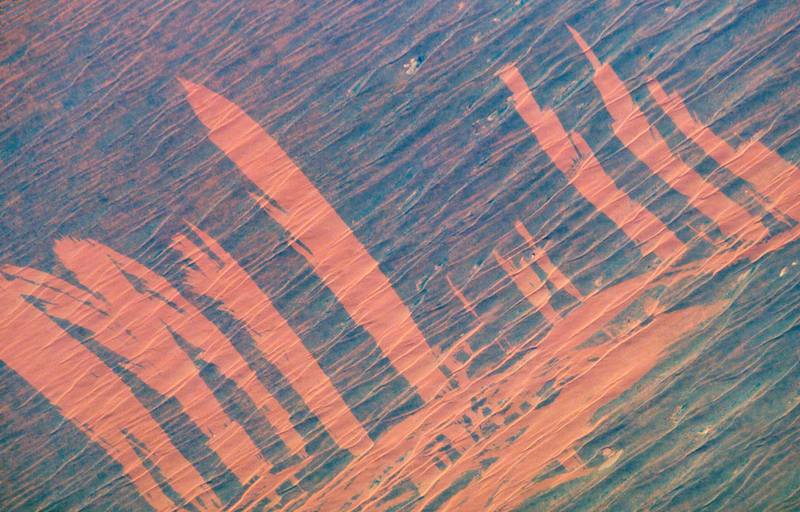 Fire scars in Australia are featured in this image photographed by an Expedition 5 crew member on the International Space Station in November 2002. Bright orange fire scars show up the underlying dune sand in the Simpson Desert. The fire scars were produced in a fire, probably within the last year. The fires advanced across the dunes in a series of frond-like tendrils. Each frond starts at some point on the earlier fire scar, and sharp tips of the fronds show where the fires burned out naturally at the end of the episode. “Over time, the scars will become less distinct as vegetation grows back,” NASA’s Earth Observatory notes on its website (it also offers a higher resolution, non-square version of the Insta).